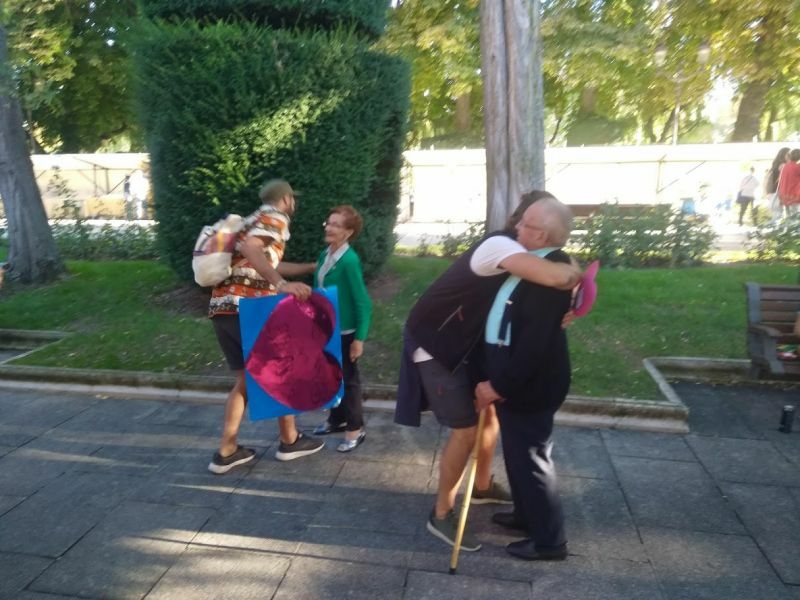 Micro Moment Of Love In Burgos' Heart March! Last weekend, noble friends from different parts of the world came together in Burgos for an Empty Hands/ ServiceSpace retreat. On Saturday night Nimo brought us so much love and kindness through his songs. But the music didn’t stop… because on Sunday afternoon, moved by music and love we did a “Marcha del Corazón” (Heart March), inspired by others around the world. 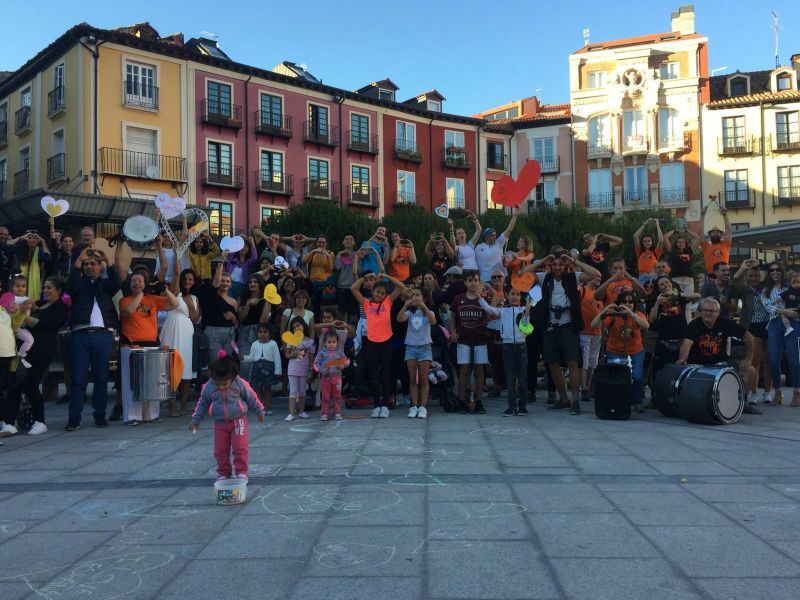 With a drumming group (from Madrid) and the music of Empty Hands we filled the streets of Burgos with happiness, music, smiles, dance and trucks of hugs. With Lorenzo sharing a lot of free hugs with the sound of music. It was very funny! Lorenzo is an Italian boy that i met in Burgos, but we live in Italy very near (coincidences, I doubt it!). A lot of people are very grateful, especially one lady. She told us in the first moments, “Thank you”, and then, “What is your organization?” We respond “All and none” and then...”What is your religion?” “We don’t have one religion, we respect all religions”. So the lady gives us another hug and she shares that it is the most beautiful thing that it has happened to her in a long time. She repeats it for 15 times (maybe more!) that she was very, very grateful for this simple act of kindness. She shares that her daughter suffers gender violence and the lady is worried about the situation. And when I heard that she lives near me, it was a very joyful moment! She told me that when she walks the dog she usually passes by Casa de BienEstar (Home of Wellbeing)- , so I invited her to come any time and so maybe we will meet again and share a little more! Amazing moment that reflects all that happened these last few days! So great to have you with us madan!!! Awwwe so wonderful to hear about the inspiration unfolding in Burgos! Thanks for sharing! Genial, Ari!! Muchas gracias para compartir este momento con nosotros! Wonderful experience!!!. A dream come true in Burgos. We are very grateful.!!! !